Exports are directly related to economic growth and recovery in the UK. When products are exported, not only do the individual industries increase their sales and profits, the increased income is then fed right into the economy of the country. With a renewed export strategy to both developed markets, and emerging markets, there is a much higher demand for additional workers in the UK to meet the growth in demand for products and services. Not only does this need equate to additional workers in those industries, it will also create an increase in spending by the new workforce. The local shops and other businesses will earn more money from the workers. In turn, the need for more domestic products rises as does the need to spend more for their products. This influx of revenues all helps to further stimulate the growth of the economy. By making changes to the tariff barriers, and lowering transportation costs, it allows and encourages more companies to export their goods and services worldwide. This makes way for exports to become a greater share of the GDP in the UK. Although the UK has been in a position of deficit in % of GDP for a while, export does help the country to reduce that deficit. With policies in place to encourage new industry export strategies, the hope is that the UK will gain strength in the global marketplace as an exporter of goods and services. This can cause an increase in competitiveness among industries and eventually someone may lose out. However, the hope is that during this shift in industry it will still increase the overall health of the economy. The UK quickly took aim at increasing export once it realised the impact that it could have on the country’s economy. In 2009, the UK was exporting to the EU countries and non-EU countries at equal rates as it had been doing for some time. By 2012 UK Plc recognised the changes taking place with emerging markets demands for more products and quickly positioned themselves to meet the increased demands. By utilising this export strategy, UK Plc began exporting significantly more to non-EU countries and emerging markets than they did to EU countries. This was a wise move. However, by changing their products to meet the new emerging markets demands it will decrease their ability for growth without exporting. Growth into the future will require a strategic export strategy between the government and the industries that export. In order to make a greater impact on the UK economy there should be additional incentives in place to encourage growth in exports worldwide. Some incentives could include such things as tax incentives as well as reductions in governmental regulations over exporting. This post was written as part of the Nollett Business Solutions blogging program, which provides businesses with the tools, expertise and solutions they need to become dynamic engines in an ever-changing world. Like us on Facebook. Follow us on Twitter. Exporting is a great idea. You are right about the cycle that comes by having more work for the export. You must hire new workers, who must eat, buy, and live in the area, which then increases the economy in several different markets. Then those markets go through the same changes and it propels the economy in a great direction. A direction in which we all should be heading. 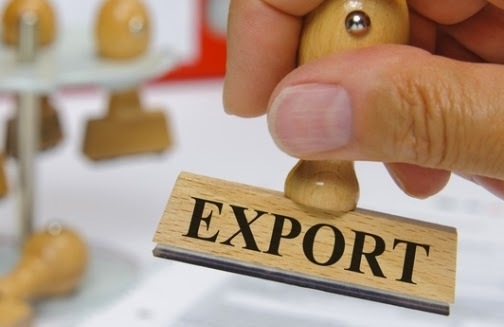 If, in addition to the above benefits, they would give tax credits and help in getting exports out in a timely fashion it would help export grow quickly. I look forward to hearing more on your thoughts about this as the year goes on. Export can indeed generate that self-perpetuating growth which not only benefits the business, but the stakeholders relating to it. Regarding Tax Credits, there are a variety of schemes available through UKTI, the banks and the Government which can seriously assist you with export. If you would like to know more, email us at info@nollett.com. Having the ability to export products and goods to another country or anywhere is a great money making prospect. I know for a fact that it makes a fair share of money for those exporting said goods. When it comes to exporting, I believe it's one of the best ways of making that extra money. For one, the money you gain is new, and will be going right into the economy. It's a win win situation. Countries that don't export much of their goods usually end up falling into political and financial turmoil. The socio-economic results can be disasterous. I have seen the UK ramp up their exports and it seems to be helping with the trade deficit already.